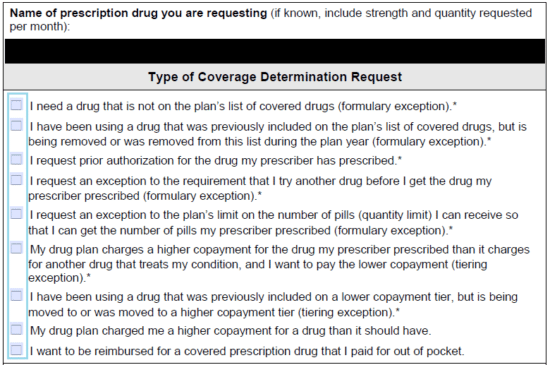 The SilverScript Medicare Prescription Drug Coverage Determination Form is used to request coverage for a non-formulary medication prior to the healthcare provider prescribing it. 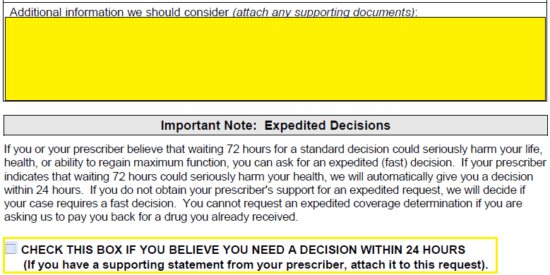 While this particular document can be used for coverage determination in general, those seeking compensation for a drug prior to prescribing it to their patient will be able to specify that this is in fact a prior authorization request on the second page. It should be noted that this document is specifically for those who qualify for SilverScript’s Medicare Part D drug plan. Once completed in full and equipped with the healthcare provider’s signature, it can be sent to SilverScript via fax or mail for review. Step 1 – Begin by downloading the PDF file and opening it up on your computer. Step 2 – Next, the plan member’s information must be supplied. Enter their full name, DOB, full address, phone number, and enrollee member ID#. Step 3 – This section is to completed specifically if the individual making the request is not the enrollee OR the provider. The requestor’s name, relationship to enrollee, full address, and phone number. 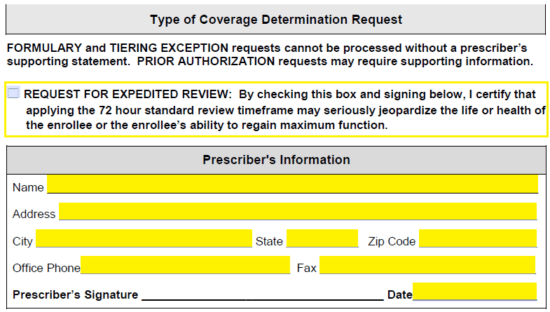 Step 4 – Select the type of coverage determination request being performed. In this case, select the third checkbox requesting prior authorization. Step 5 – Any information that should be considered by the insurance company should be provided in the paragraph field here. Any supporting documents can be attached. If a decision is needed with a day, check the box on the bottom of this page. Step 6 – Provide the date here. 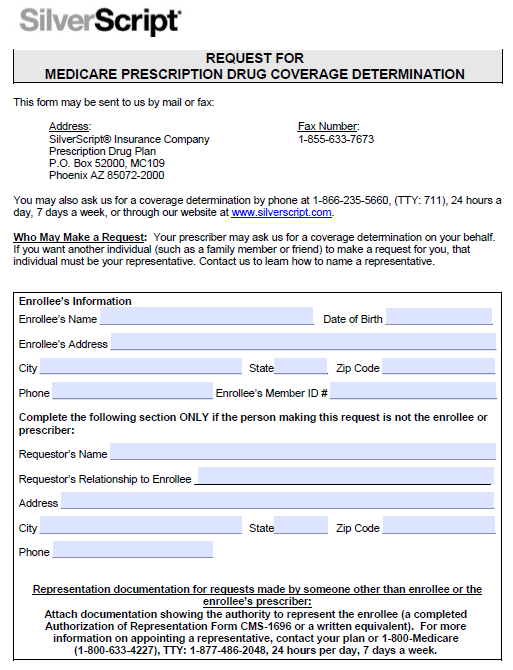 Once the form has been printed off, the signature of the individual requesting prior authorization should be supplied in the empty field. Step 9 – The rationale for the request can be described via checkbox here. Select the applicable option. If not listed, select “other” and provide an explanation. Step 10 – Once the document has been gone over for any possible mistakes, print it off, provide the aforementioned signatures, and fax the document to: 1 (855) 633-7673. Alternatively, you may mail it to the below address.